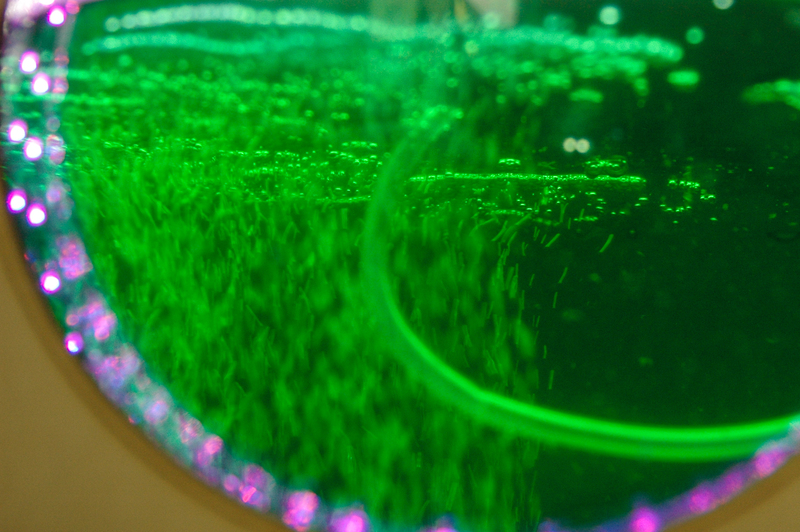 Demo_Lilly 2013 is a demonstration prototype conceived to illustrate to people the entire WaterLilly family by showing alive algae together with related videos. 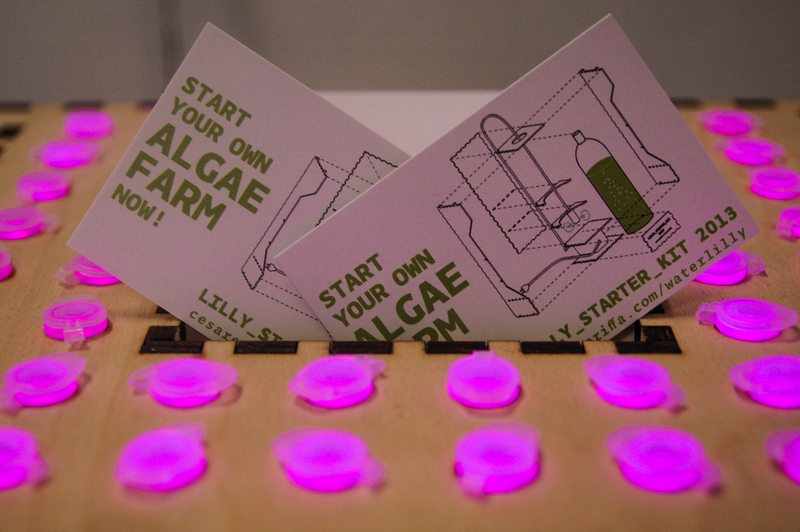 She involves a living interaction with visitors that can make a small donation and grab an algae sample in a micro-pipette to start their own algae culture at home by inoculating it in the freely downloadable WaterLilly_Starter_Kit. 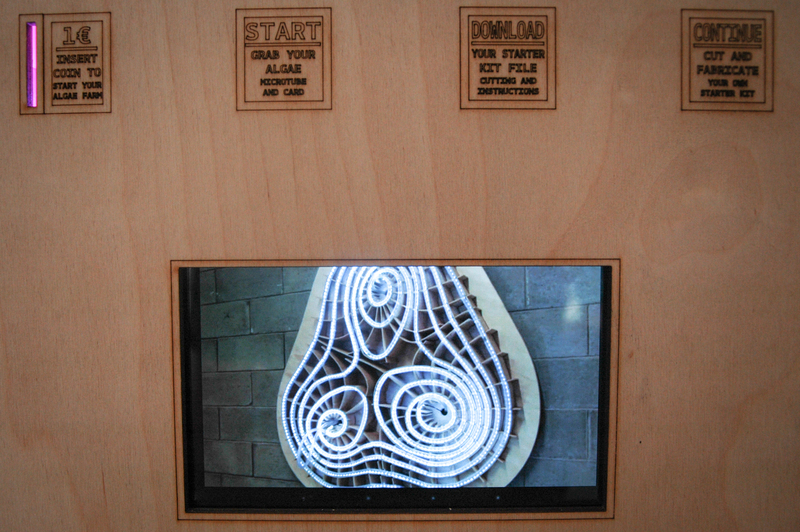 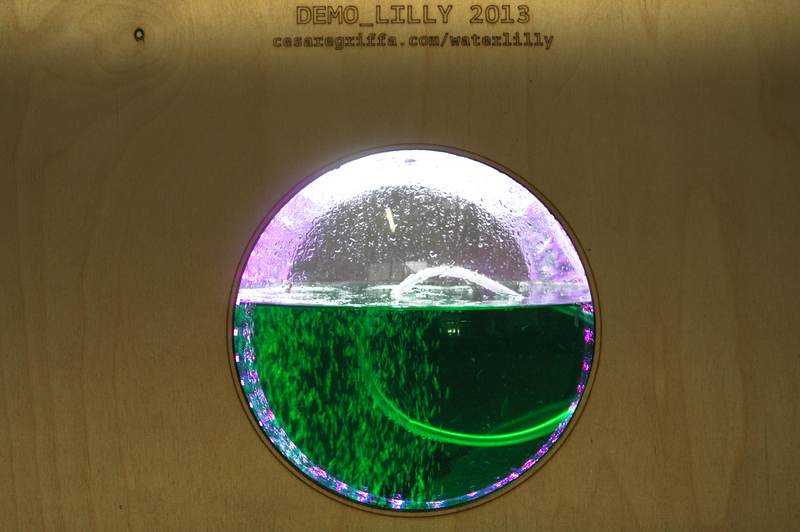 Demo_Lilly has been fabricated for the MakerFaire Europe Edition in Rome 3-6 OCtober 2013. 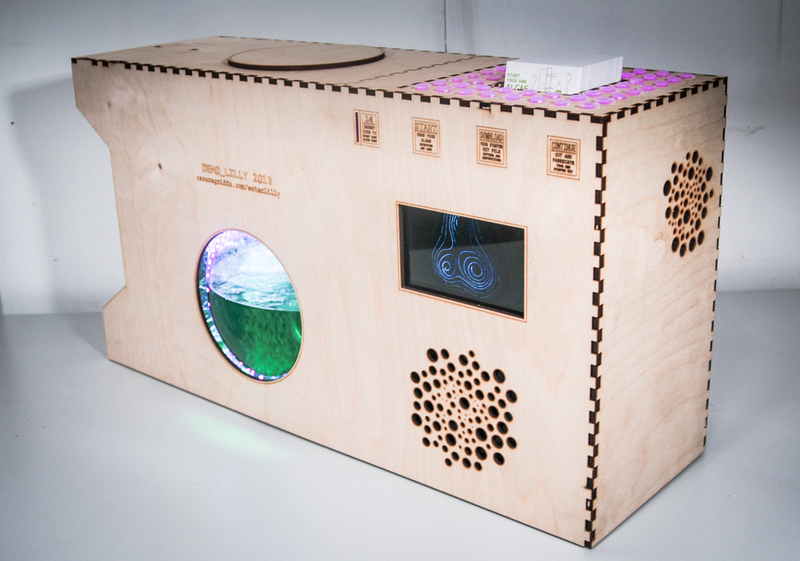 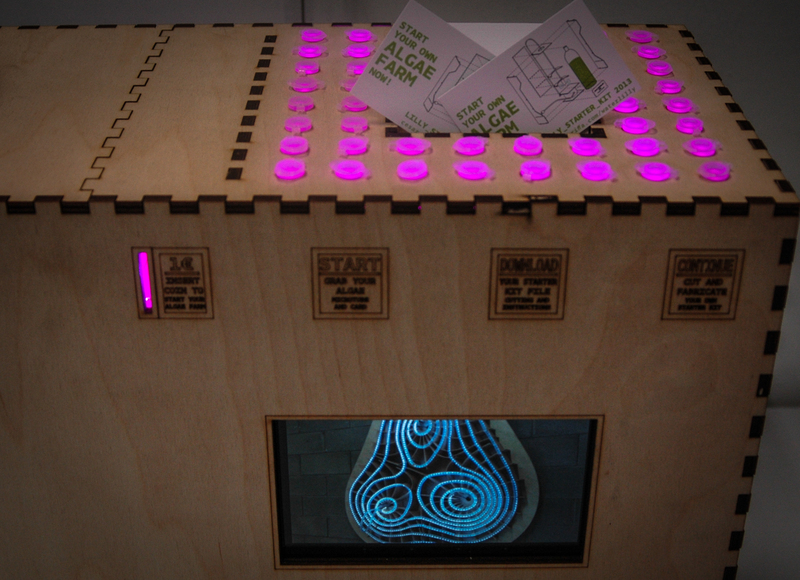 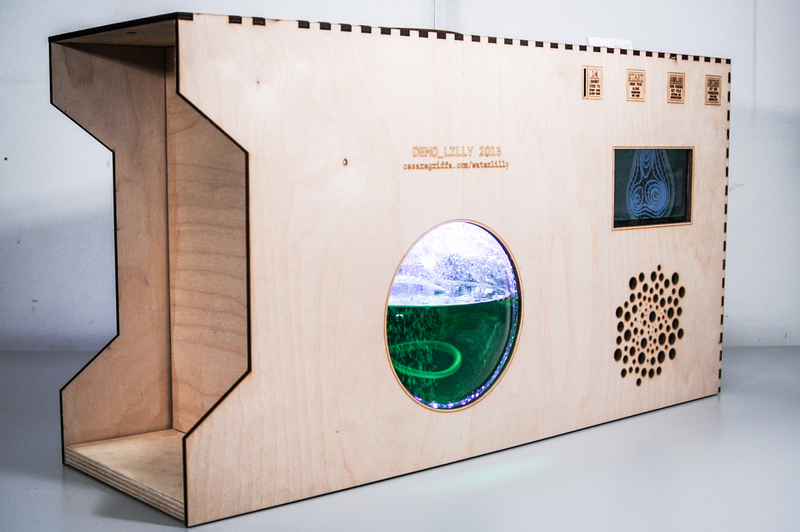 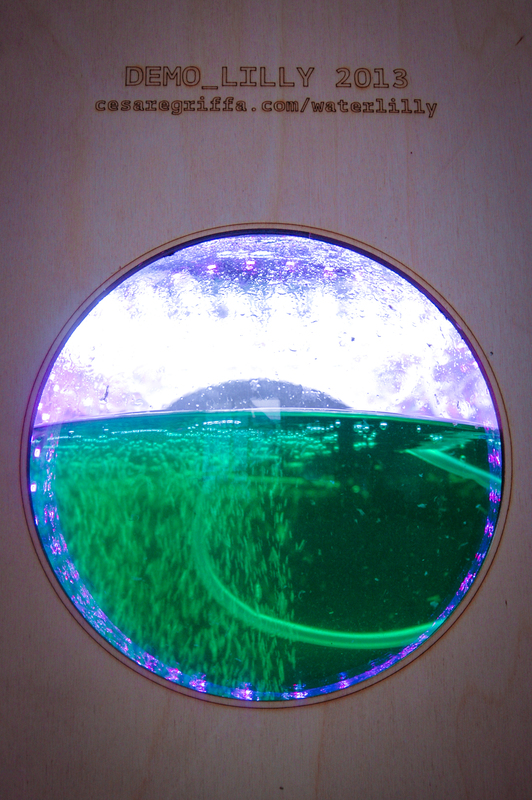 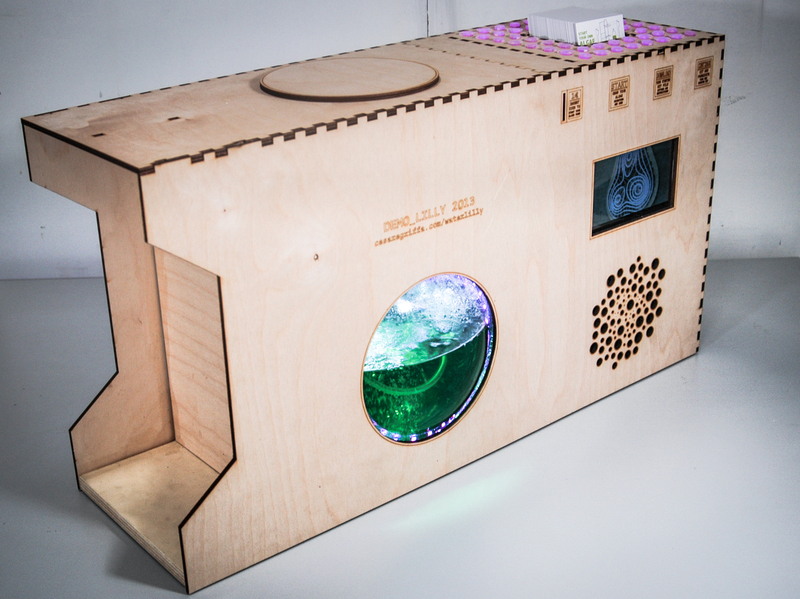 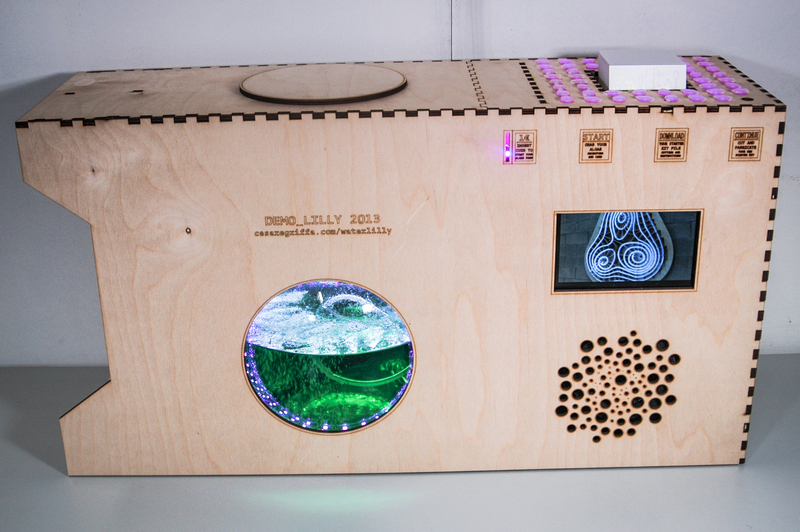 Demo_Lilly is composed of a micro-algae growing chamber, a micropipette rack with an emplacement for mini-cards, a docking area for two WaterLilly_Starter_Kit, a tablet to run videos and web apps, and a sound system. 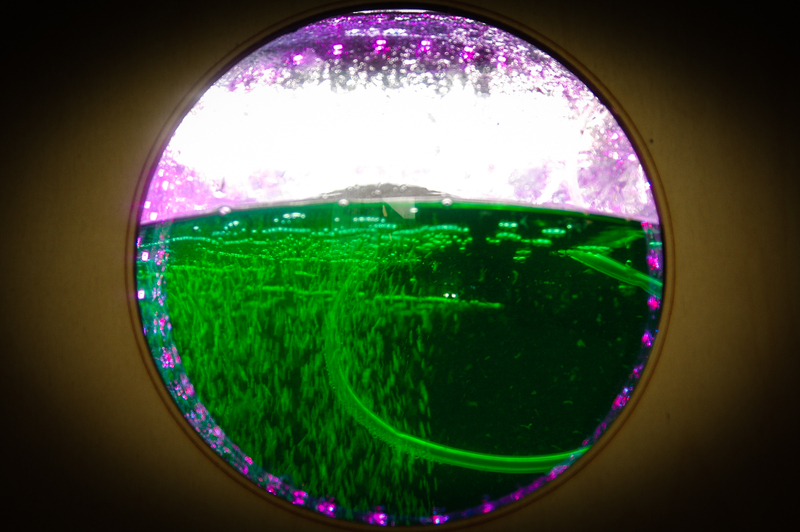 The growing chamber is equipped with RGB LED lights, reflecting Mylar foil, and an aerator to provide CO2 from the environment. 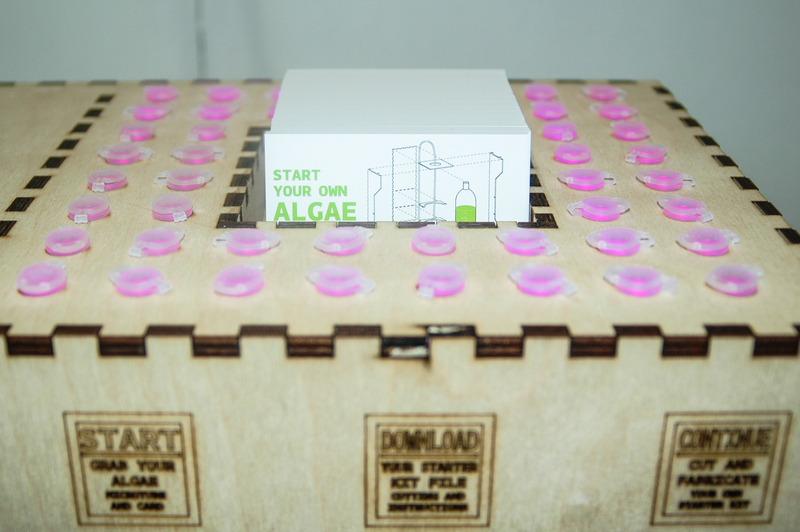 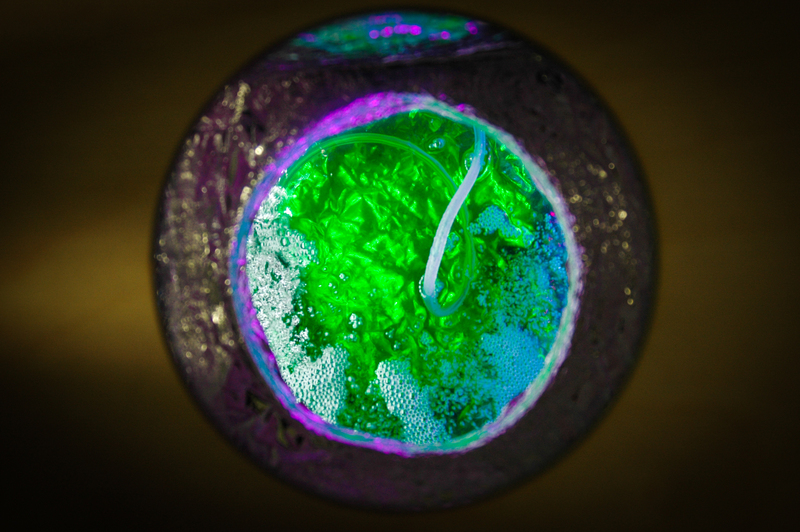 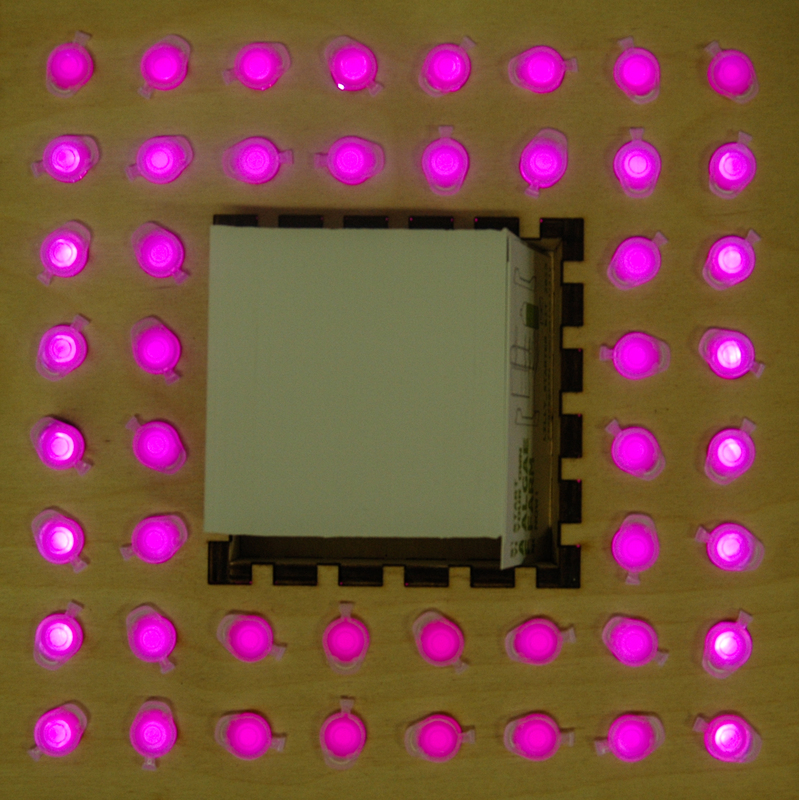 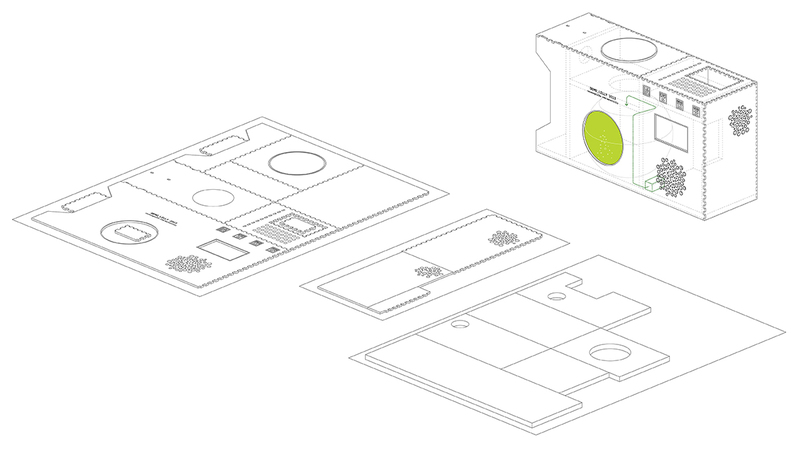 The chamber is optimized to grow small cultures of robuste micro-algae like Chlorella. 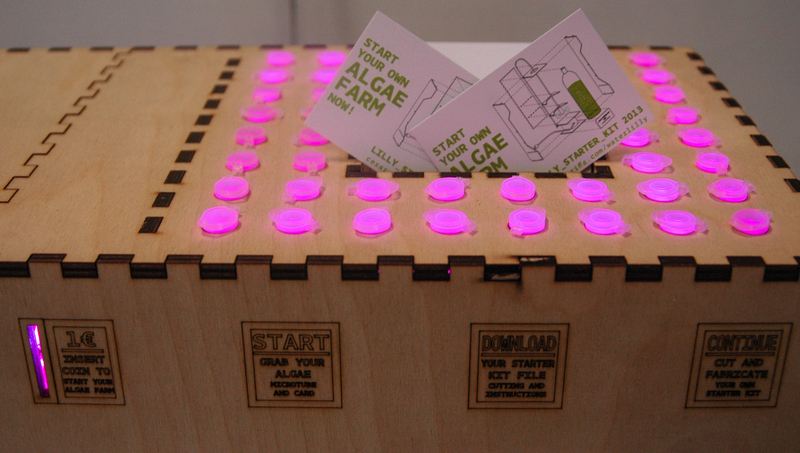 The micropipette rank can host up to 48 micro-pipettes to give away micro-algae samples to interested people. 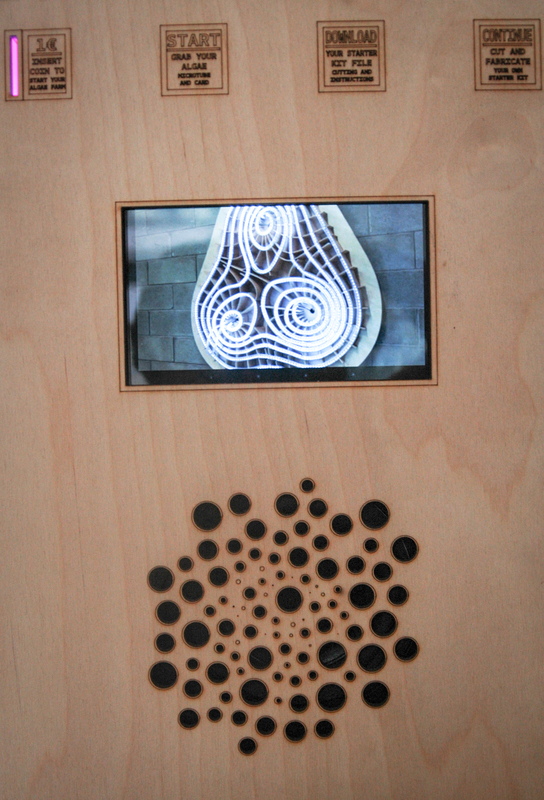 The tablet runs the WaterLilly videos and can be used to access the web. 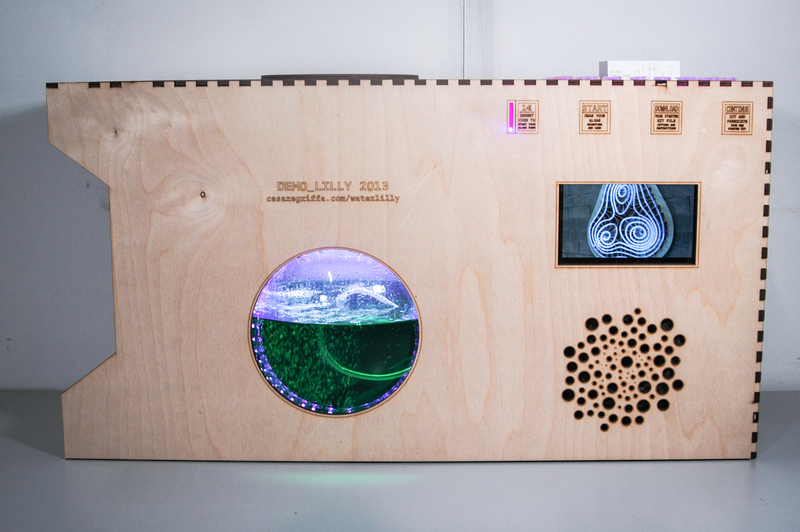 The WaterLilly_Starter_Kit docking area can host two complete kits that can be viewed and touched to better understand how to start a personal micro-algae culture at home. 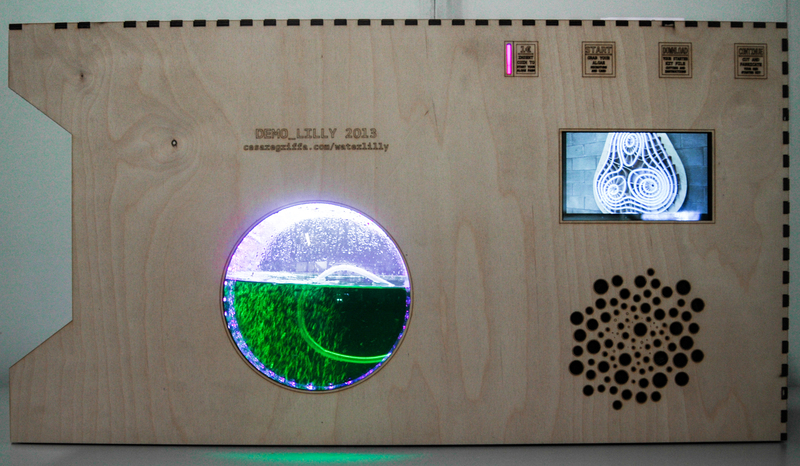 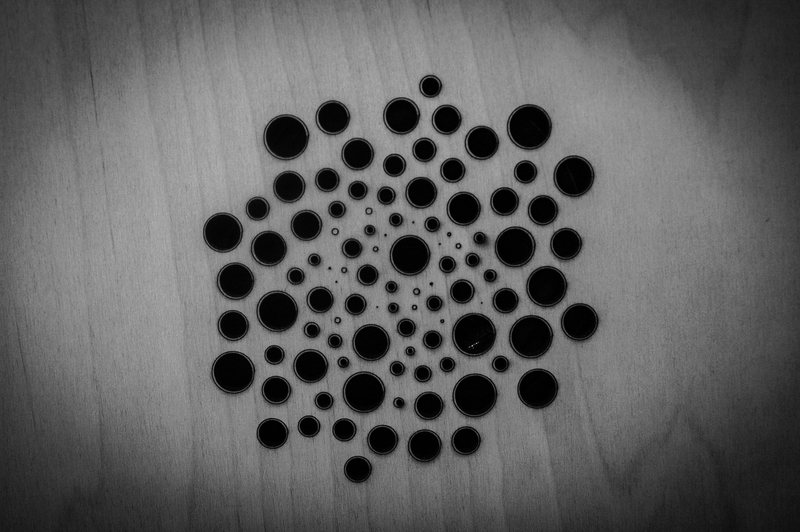 Like the other components of the WaterLilly family, Demo_Lilly has been designed using open modelling software and produced using open digital manufacturing technology.